Get away to the mountains and get off the grid. 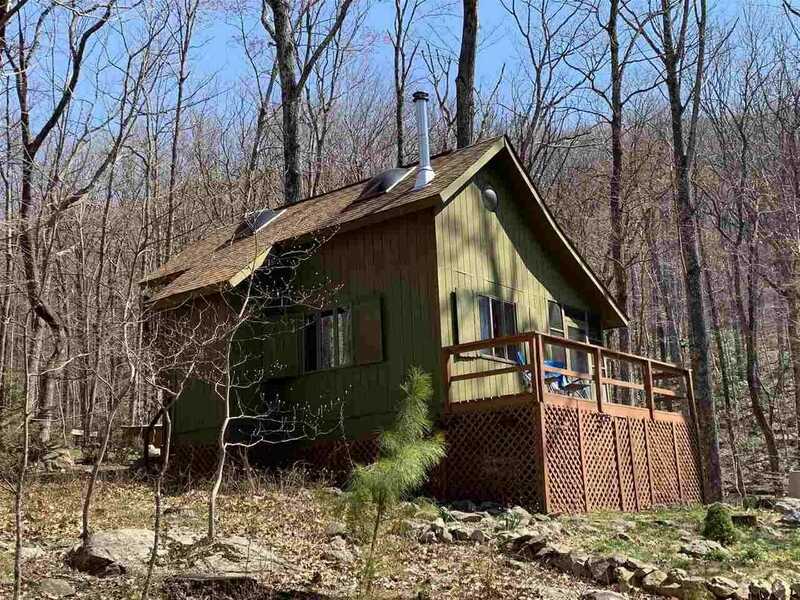 This cabin is privately located on 10.56 acres in the back country section of Wintergreen. By covenants, no electric service is allowed, and this cabin is outfitted with appliances and equipment using propane for many upscale camping and living comforts. Heat with the woodstove is more than adequate. Two creeks offer that wonderful sound to enjoy from the deck, the screened porch or the fire pit. The hiking is endless through the mature forest, and the long range mountain view is wonderful. As a Wintergreen property owner, the owner facilities are available to use. There are only a handful of cabins here, and this is a special place to enjoy these wonderful mountains. Directions: Rockfish Valley Hwy. to Old Stoney Creek Rd. to end, through gate, driveway 1.1 miles on right. Please, send me more information on this property: MLS# 588409 – $99,500 – 3224 Old Stoney Creek Rd, Nellysford, VA 22958.